SKU: N/A. Tags: Menus Printing Belfast, Menus Printing Birmingham, Menus Printing Bradford, Menus Printing Bristol, Menus Printing Cardiff, Menus Printing Coventry, Menus Printing Dudley, Menus Printing East Riding, Menus Printing Edinburgh, Menus Printing Glasgow, Menus Printing Kirklees, Menus Printing Leeds, Menus Printing Leicester, Menus Printing Liverpool, Menus Printing London, Menus Printing Manchester, Menus Printing North Lanarkshire, Menus Printing Sheffield, Menus Printing South Lanarkshire, Menus Printing Wakefield, Menus Printing Wigan, bulk Menus Printing, custom Menus Printing, fuull color Menus Printing, Menus Printing, Menus Printing services, small Menus Printing. Printing menu for restaurants is never been so easy task. 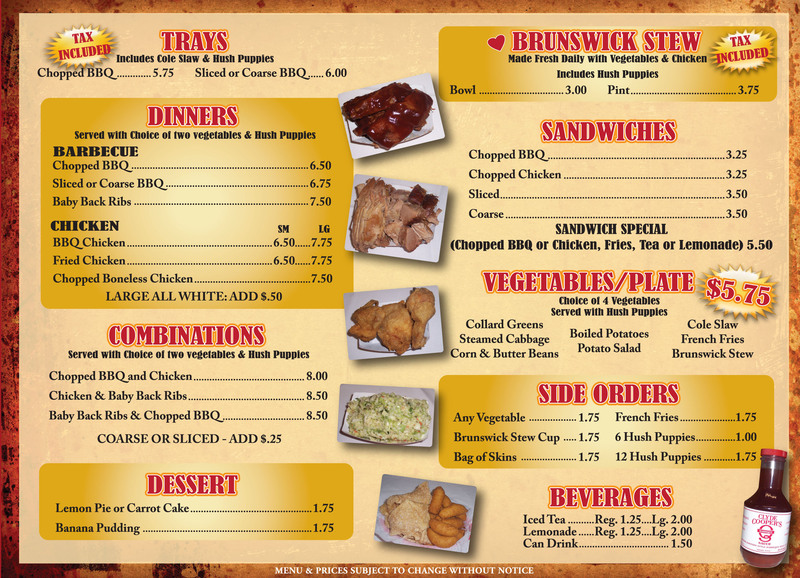 To draw out menu is not just a list of items and its prices. It’s all about who you are and what services or foods do you offer. For most of the customers a poorly designed menu is quite equal to a poorly run restaurant, although you are serving the best food in the world. A restaurant’s menu is of vital importance as it carries the brand’s experience towards the next step of the customer. 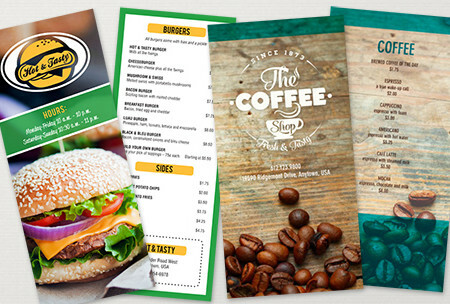 Menu printing services help to improve the brand vision if it is done in a justified manner. It also reflects about your specialty. If you are an owner of a restaurant, then it is your duty to showcase your food in a special manner. Success will only start with high quality, full-color images of your food as this will to entice more customers for placing the order. Also, the text will enlighten the descriptions that will nudge a curious customer toward ordering. Design and printing of menu reflects the professionalism of a restaurant. 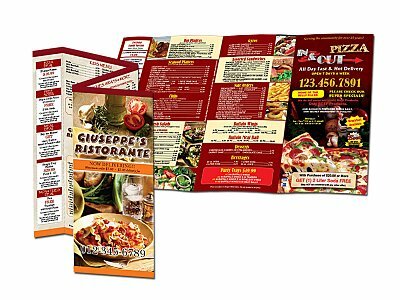 Hiring a printing service provider for designing and printing quality menus for your business, then go with some well recognized and quality service provider who pursue years of experience in this field. They have the knowledge and the creativity to take your menu over pleasant and make it sales driven. “BEE Printing”, while maintaining the quality level, we are providing the top grade printing services while focusing on the budget. Without compromising with the quality level, we offer more value so that you could give your business a great deal. Our sizes of menu printing start from A6, A5, A4, A3 and in 150GSM paper stock to 350 GSM card stock. 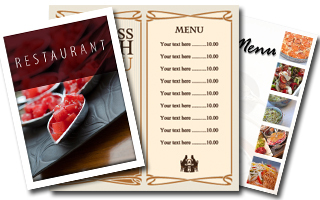 Whether you are running a 5 star restaurant or a small café, superior menu printing is essential for any business. 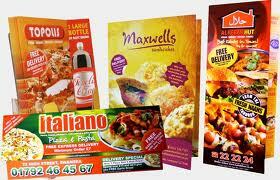 We also provide takeaway menu printing, A3 menu print, table menu printing, Pizza Menu print and more.